All Gordonville homes currently listed for sale in Gordonville as of 04/24/2019 are shown below. You can change the search criteria at any time by pressing the 'Change Search' button below. If you have any questions or you would like more information about any Gordonville homes for sale or other Gordonville real estate, please contact us and one of our knowledgeable Gordonville REALTORS® would be pleased to assist you. 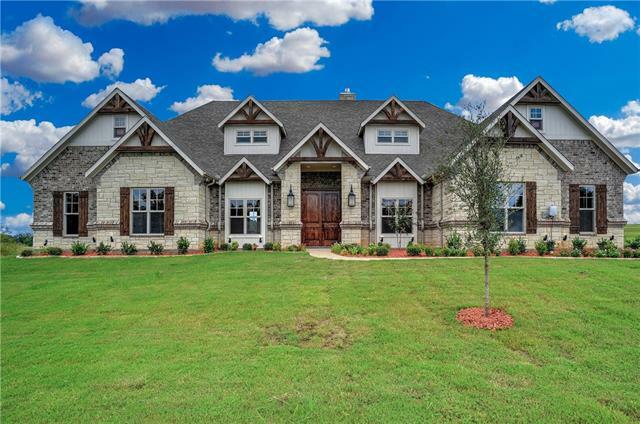 "Luxury estate in Rock Creek Resort - a master planned gated community on the shores of Lake Texoma featuring a Nicklaus design golf course, clubhouse, pool, boat slips & more. Spectacular home has 4 bedrooms, 4.5 baths, 2 dining areas, a paneled study, 5 fireplaces, hand-carved entry doors, imported Italian chandeliers, oversize multiple crown moldings, lighted art niches, leaded glass doors, central vac, security system, intercom & more!" "An entertainer's delight with this exceptional custom home in the exclusive Resort of Rock Creek setting on 2 heavily wooded lots with a short walk to lake. RC is a golf-lake community offering Nicklaus designed course with pro shop, locker rooms, restaurant, salt water pool, fitness center, private marina & ship store. Open floorplan with lots of natural light & wood flooring. Large master bedroom with sitting area. Special features include wrap around porch, balcony off gameroom, outdoor kitch"
"Beautiful Custom Build in Rock Creek Resort. Only home currently available with Lake Views! Hardwoods in all 1st flr living areas. Open floor plan great for entertaining! Large Island in Kitchen, Granite Counters, Blanco Silgranite Sink, Kitchen-Aid appliances w Double Ovens, Gas Cooktop, Microwave in Island. Wet Bar, wine frig, built-in storage. Corner fireplace in FR, beamed ceiling w large windows looking out to lake. 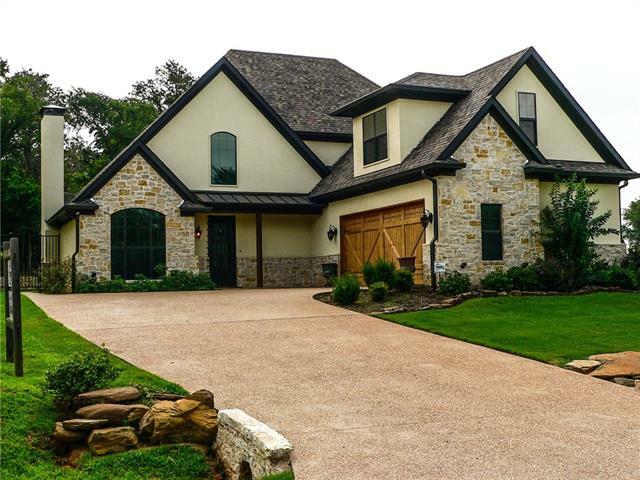 Master down, mstr bath walk-in shower w dual heads, large closet w island"
"Lake Texoma Rock Creek RETREAT! This architectural gem with MODERN TWIST is on a private, .727 acre lot in a master-planned gated community. Rock Creek features Jack Nicklaus-designed golf course, clubhouse with pool, and marina. The 4 bedroom, 2.5 bath home is a single story breathtaking dream come true. The over sized gourmet kitchen, top of the line SS appliances, built in sub zero fridge, coffee bar, wine fridge, overlooks the inviting living area with hardwood floors throughout, huge master"
"Absolutely exquisite living in prestigious Rock Creek Resort. From the impressive drive up appeal of this 5 bed, 3 bath home to the huge backyard, this stunning home will not leave you disappointed. Inside this stately home you'll find, vaulted ceilings in living & kitchen, floor to ceiling fireplace, oak wood flooring in main areas, spacious bedrms, oversized garage, inviting laundry rm, & much more. 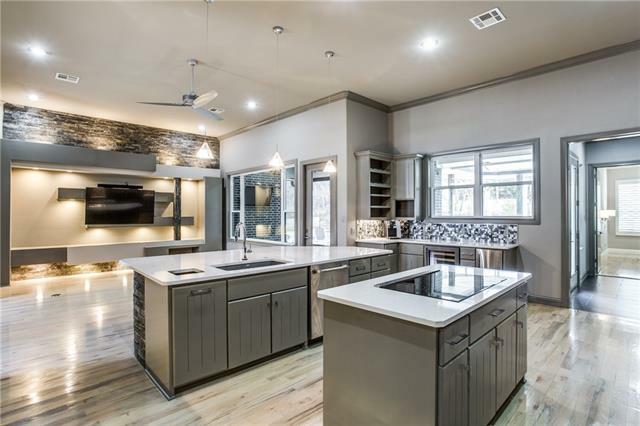 The open kitchen is a cooks dream with a HUGE island with bar seating, SS appliances, wine bar,"
"36+- acres With a view of Lake Texoma, if you're anything like us, you've spent the better part of your life dreaming of running your own charming bed and breakfast. Why wait any longer , this property could make the dream come true. The charm and space is all right here. Close to riding trails, step into the country life style it is ready to make yours today. 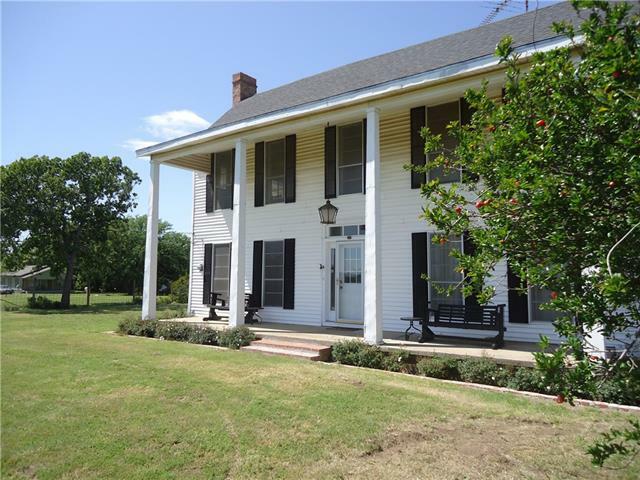 Ag exempt land, ponds, pecan trees, gardening area, spectacular setting. B and B not your style perfect for a Horses and the Ranch life. " 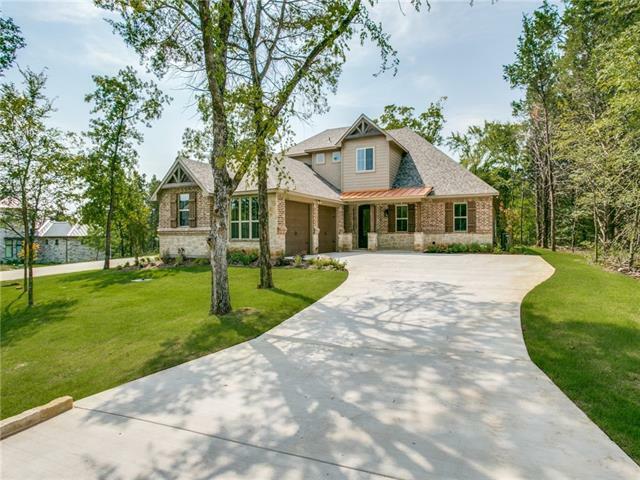 "New Construction Complete weekend or full-time home in Lake Texoma's premier 1,300-acre master-planned community! Nicklaus Design golf course is top-rated and private. Proshop, fitness center, community pool, walking paths, the Villas and more! This new home features 3 bedrooms and 2.5 baths. The master bedroom features 2 walk-in closets, and private access door to the covered back patio. Beautiful soaring ceiling in the living room numerous windows providing an abundance of natural light and go"
"Enjoy the best of lakeside living with resort amenities in this beautiful custom home in the secure gated community of Rock Creek Resort on Lake Texoma. Enjoy the great amenities this private resort has to offer such as the 18-hole Jack Nicklaus designed golf course, pro shop, clubhouse, restaurant, swimming pool, marina and ship store, with a spa and fitness center coming soon!" 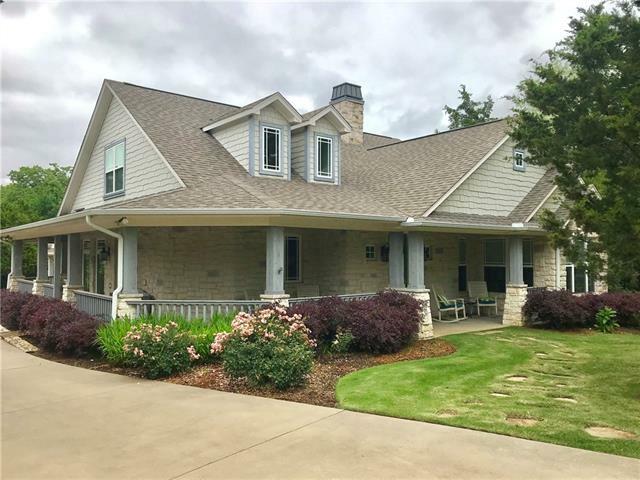 "If you like golfing & lake activities, this house is in a great location close to the Jack Nicklaus designed golf course, amenities and marina on Lake Texoma. 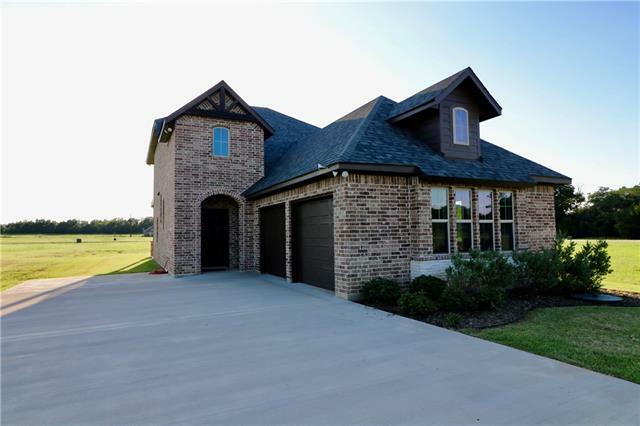 Custom home with high end finishes throughout! Warm neutral colors & move in ready. Cooks kitchen with granite counter tops, custom cabinets & stainless appliances. Open layout designed for entertaining your friends and family. Home was just completed end of 2017 & move in ready! Private master suite & balcony upstairs. Rock Creek Reso"
"Gorgeous home on large lot with an excellent curb appeal! Featuring an open, spacious floor plan, kitchen with granite counter tops, large island with bar seating, walk-in pantry, Stainless Steel Appliances, Fireplace. Enjoy the outdoor covered patio grilling with friends or just relax!! Enjoy resort living at its best with all the luxurious amenities at the well known Rock Creek Resort on Lake Texoma featuring the Jack Nicklaus Designed Golf Course, Clubhouse, Pro Shop, pool, marina, Ship Store"
"Craftsmen 1-Story in Rock Creek,modern touches throughout. 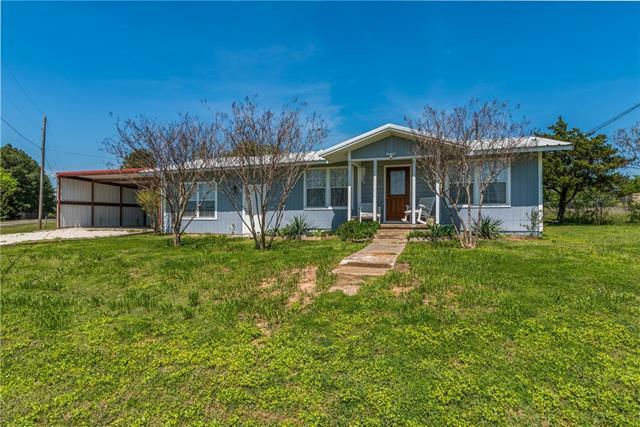 Fully equipped for lake living, 2500 feet from Lake Texoma and Marina. Home is 2,000sf but can add 300sf loft above garage. Engineered foundation, foam insulation, smart home with many automated features via a smart phone. Home was completed in 2016 and had limited use, open to selling furnished, including 4 passenger golf cart. Over one third of an acre, with aluminum fence and separate 120sf dog run." "Want a vacation or weekend getaway place away from the rat race of the city. This is the place for you! Lake Texoma access within walking distance and top notch Jack Nicklaus design golf course is waiting. Lovely 2 master bedroom home with open floorplan and wood looking tile floor thruout. Exterior constructed with beautiful stacked stone and brick. Kitchen overlooks large family living and has knotty alder cabinets, microwave in island, double oven range, wine fridge and walk-in pantry. Gra"
"Welcome Home! 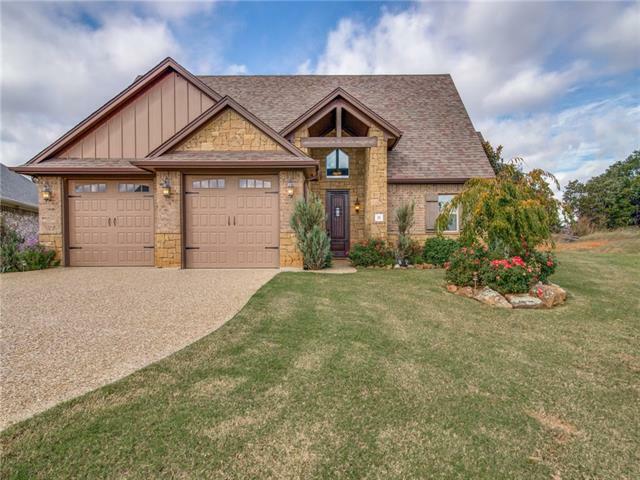 Come enjoy resort style living in your custom, move in ready home with impeccable high end finishes throughout, located in the exclusive Rock Creek Resort gated community on Lake Texoma. Community features a Jack Nicklaus golf course, club house, restaurant, comm. pool, fitness center, golf pro shop, boat ramp, marina, ship store, spa & more. 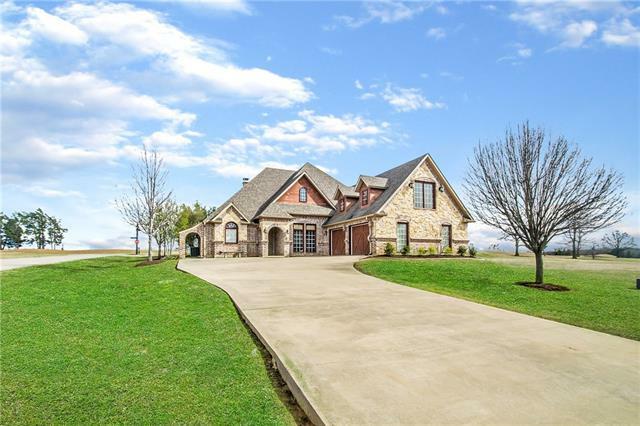 This luxurious property boasts: all tiles floors, brick accent features & walls, cedar plank & wood beam ceilings, cedar plank pop up ceiling"
"This is a GREAT FAMILY LAKE PROPERTY! Set up for the full time family or come enjoy weekends at LAKE. Spectacular views of LAKE TEXOMA. This WATER FRONT UPDATED home is MOVE in READY. Master, & 2 other bedrooms on main level with 2 full baths. Open floor plan with living, dining & kitchen. The perfect home to entertain. 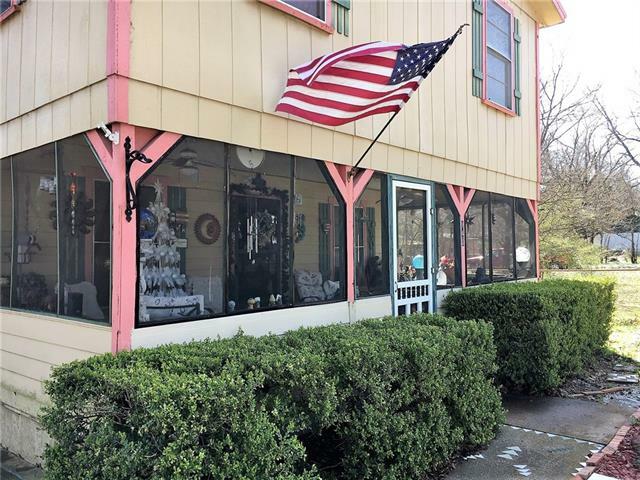 Separate entrance from exterior & interior to the SECOND floor with Kitchen, HUGE AREA that is currently set up as GAME ROOM, 2 lofts, 1 side set up with 2 full beds & the other "
"Live at your lake home! This nice home is in a secluded subdivision close to very nice marinas for boating, and a restaurant on the lake. The shop has roll-up doors on both ends for RV, boat, golf cart access. Roof was replaced in 2015. The back yard is your own escape from the hustle and bustle at the end of every day. Large yard is partitioned nicely for animals in one section away from guests. Storm cellar onsite. The home has been well-cared for and is just waiting for you. 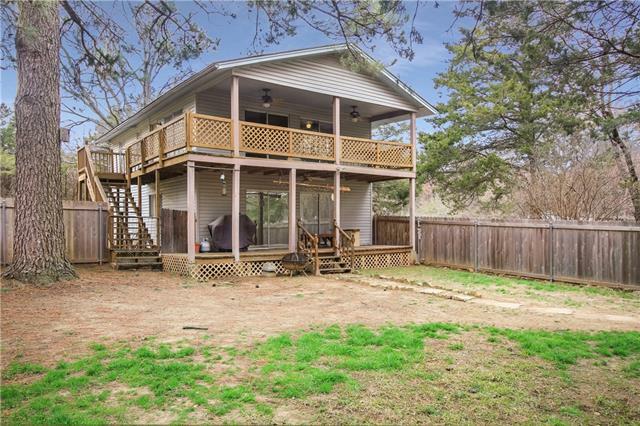 Come check "
"4 Bedroom, 2 bath home just down the street from Lake Texoma and Cedar Mills Marina on 6 lots. Enclosed sunroom overlooks large backyard where you can plan your weekend boat outings. Come live at the Lake." "Great cabin in the woods near Lake Texoma. Lots of space for all your friends and family. Large rooms. 2 14x20 sunrooms (one upstairs and one down) Open living, dining and kitchen area. 40 x 30 covered parking for your RV, boat & jet skis, storage sheds for all the equipment that goes along with it. Alley access. Nice shaded deck to sit out on and enjoy nature and the peace and quiet. Great value for the sq ft. A little work and it could be a wonderful full time home or vacation home. 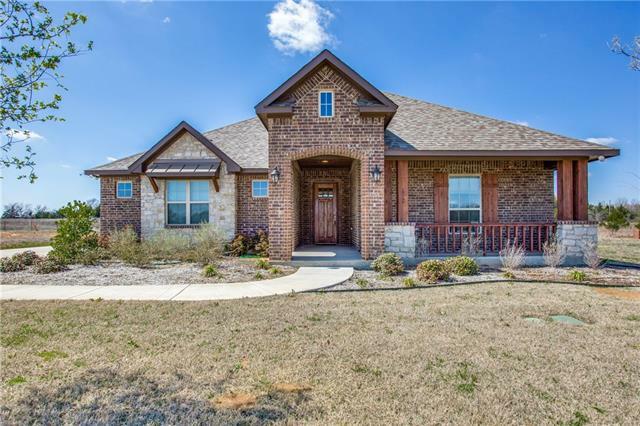 Hike or "
"Beautiful home just a short distance to the waters edge of Lake Texoma, this home has a lot of room to enjoy all year long or make as a retreat for the entire gang. Open spacious floor plan give way to the relaxing atmosphere you know you deserve. The main floor features a wood burning stove with vaulted ceilings and access to the quite setting of a covered porch. There is so much this property has to offer. Give us a buzz today and let's talk Real Estate. All info to be verified by the buyer Se"
"Welcome HOME to your new home, vacation home, Lake House!!! Rebuilt from the ground up in 2004-see attached Improvements sheet. BRAND NEW BATHROOM AS WELL AS FLOORING THROUGHOUT! Open floor plan for entertaining. ENJOY your morning or evening coffee on the large, COVERED front porch. Amazing PERGOLA with electricity for stringing lights and using the new ceiling fan! Plenty of room for outdoor furniture and loads of plants that you have started in YOUR OWN greenhouse. Plenty of storage in the"
"Wonderful 3 bedroom, 2 bathroom lake cottage perfect for a weekend retreat or full-time residence. 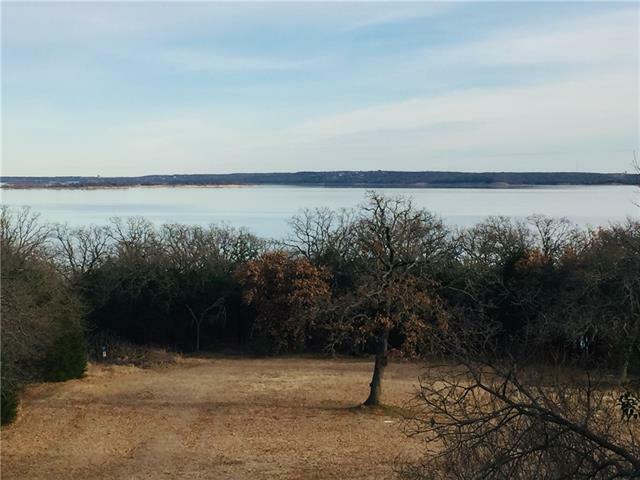 This property sits on a large .367 acre lot with many trees, a dog run, a covered patio and a private master suite balcony perfect for enjoying those beautiful Lake Texoma sunrises. The home offers an open floor plan excellent for entertaining, including a built-in bar. Large master suite with walk-in closet, laminate floors, ceramic tile. 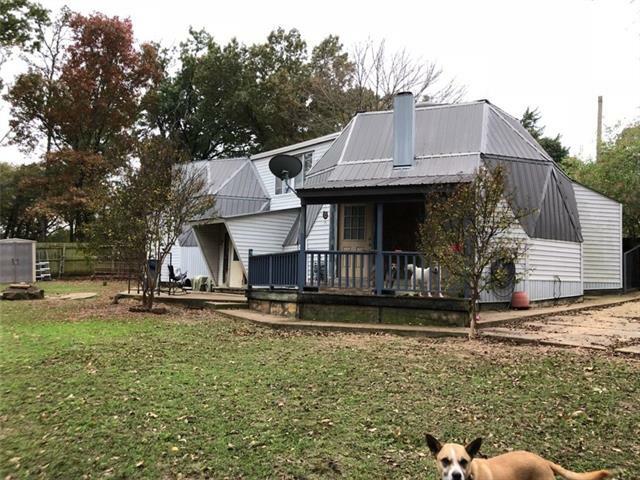 This property also includes a detached metal building w"
"This 3 bedroom, 2 bath home sits on 2.79 acres and is close to Lake Texoma! Just needs a little TLC. Come take a look at the possibilities!" 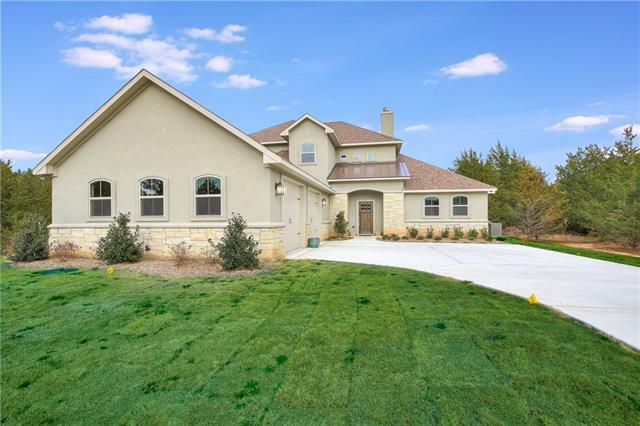 "The landscaped yard is the first thing to catch your eye when you see this home in Wright Acres in Gordonville Texas. You are minutes from Lake Texoma to enjoy the Lifestyle of Lake Living and minutes North to Willis Bridge for easy access to Oklahoma. 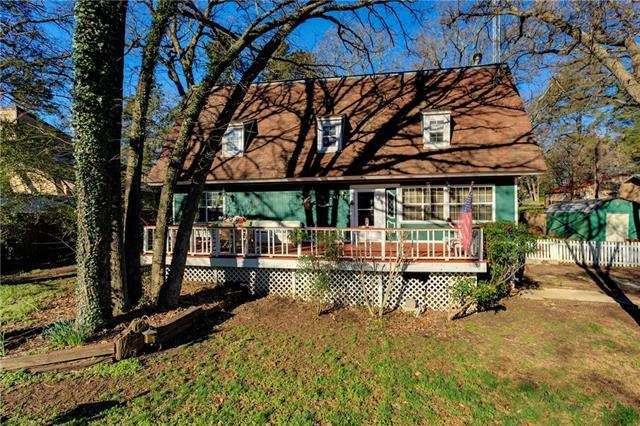 The front porch has room for your rocking chairs to sit and enjoy the views of the countryside. When you step inside, you will see the pride of ownership with many updates by the current owner of the home so you can enjoy yourself at the lake. The"
"Lake living at it's best! This completely remodeled home is super low maintenance with 2 bedrooms, 2 full baths, spacious living and kitchen design. 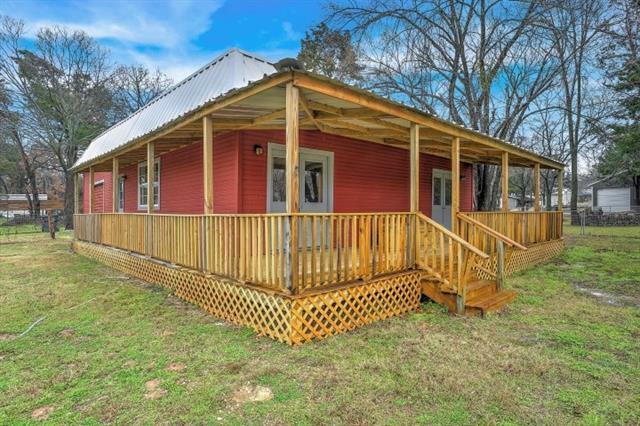 Metal roof, masonite exterior...Wrap around porch on two sides is great for entertaining or just enjoying your time at the lake. Walking distance to a sandy beach." 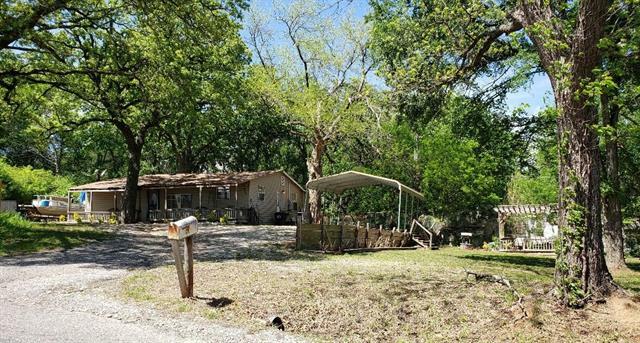 "Wow just minutes from Lake Texoma. This homes has vaulted ceilings, open floor plan with a bonus loft style bedroom that is open overlooking the family room. Above the loft is a fully carped huge attic space great for storage or a child's fun hide out. Third bedroom is an addition to home with no closet and it has its own access door to the fully fenced backyard and covered hot tub to relax in. The large over sized front porch is the perfect entertainment area for family and guests to enjoy the "